Private duty nursing is arranged based on individualized needs. It ensures a greater peace of mind for you or loved ones with the benefits that come with private duty services. 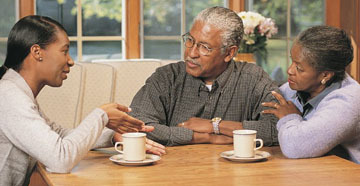 Whether you just need short-term assistance with personal care and grooming, or geriatric care management, help with independent living or adaptive devices, or supervised guidance regarding medications or wound care, private duty health Aides help to ensure comfort and well-being, as well as safety in a home-based environment. Services are customized, offering clients and their families options and peace of mind. Our staff at Affordable Home Health Care provides the care you need. Visiting Aides can be there for 4 hours a day or longer, depending on your need. Private duty aides are available to assist you or a loved one with your daily in-home needs whether you’re recuperating from an illness or injury, a cognitive disability, or physical limitations that require more focused supervised care and monitoring. Whether you need companion care, personal care, help with errands, or recovery support, visiting private duty assistance is available to you through Affordable Home Health Care to individually cater to you or to your loved one’s daily needs and requirements.